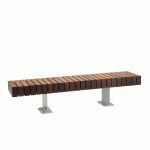 Bench 5 & 15 are made from chunky hardwood timber on Steel I-beam legs. 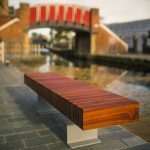 The hardwood timber is responsibly sourced and there are a variety of timbers to choose from including Sapele, Cumaru, Western Red Cedar and Iroko. 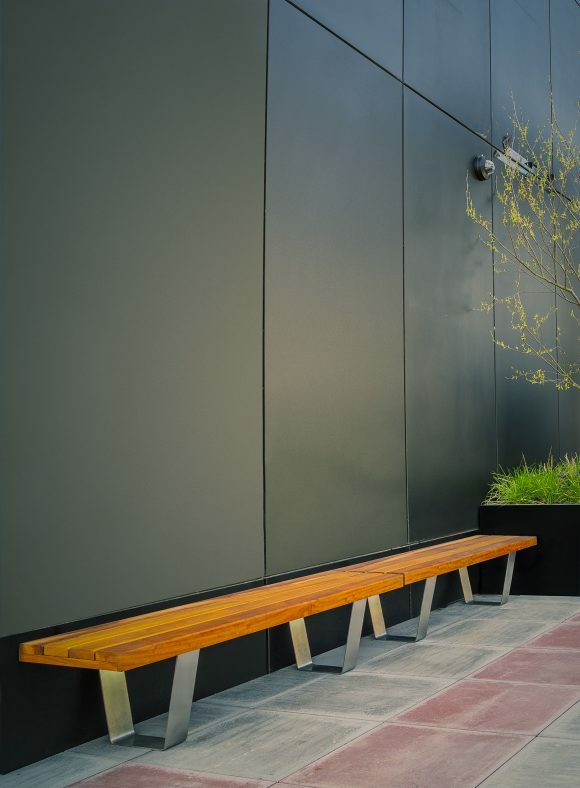 The I-beam can be powder coated to any RAL colour. These benches look stunning in communal areas or as street furniture and can be made from a variety of hardwood. Please note that BENCH5 has the timber running vertically on the bench and BENCH10 has the timber running horizontal. 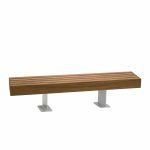 There is a standard size, however either Straight Bench can be made in bespoke sizes. 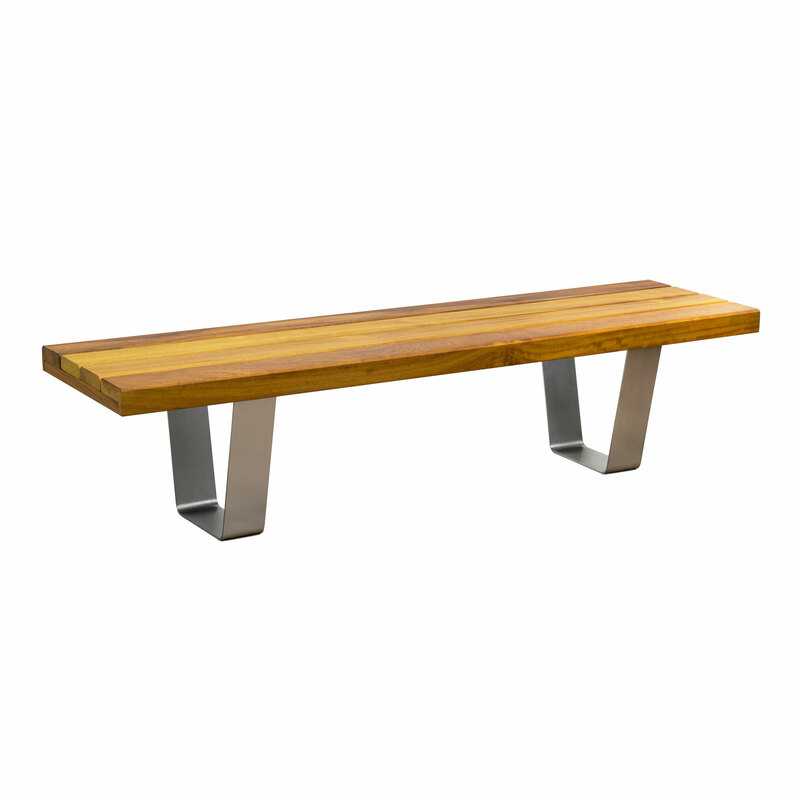 The Bench 16 is a modern contemporary design with tapered stainless steel legs. The hardwood timber is responsibly sourced and there are a variety of timbers to choose from including Sapele, Cumaru, Western Red Cedar and Iroko. Bench 16 looks stunning in communal areas or as street furniture. 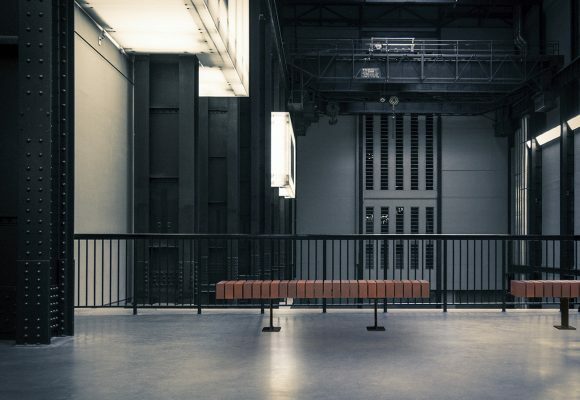 The stainless steel legs can be bolted to the ground if required. 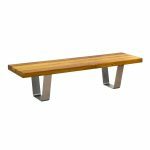 There is a standard size, however this bench can be made in bespoke sizes.